other HV requirements as specified. Training and assessment is typically completed in 40 hours, though additional time may be required for workplace practical assessment. Recognition of Prior Learning is available, but under strict conditions/evidence requirements, including demonstration of competence. practical demonstration of skills (minimum of 2 occasions). Upon successful demonstration of competence candidates are awarded a HRD Certificate of Completion and a Statement of Attainment for UETTDRRF06B. The course is recognised by the V/Line HV Coordinator. 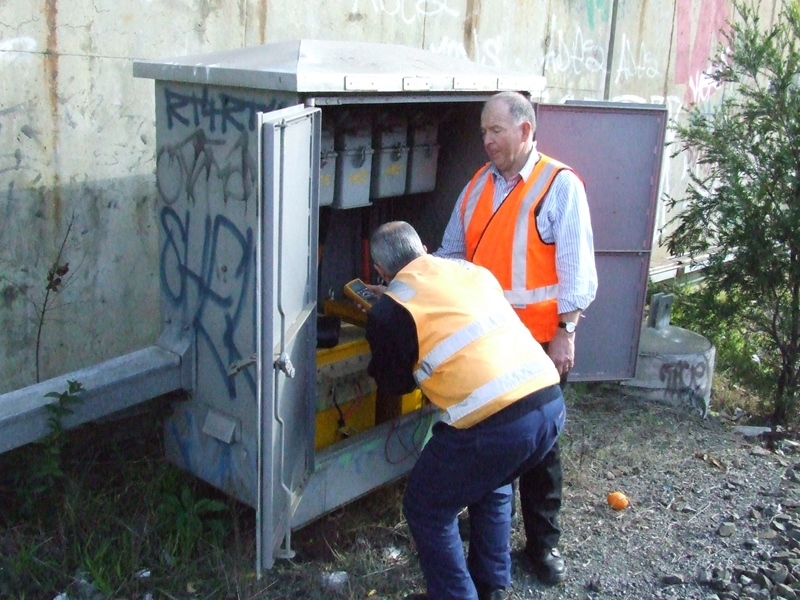 The High Voltage Signals Recipient (HVSR) assists with HV switching and receives an Electrical Access Permit (EAP). The HVSR also monitors the work party to ensure that personnel don’t breach the conditions of access as stated on the EAP. safely rescue and provide first aid to a victim who has made contact with live apparatus. Refresher training is required every 3 years. receive and relinquish an Electrical Access Permit. Knowledge of electrical safe working practices and WHS principles form an integral part of this course. a valid first aid certificate (currently HLTAID003 Provide First Aid) plus UETTDRRF06B Perform Rescue from a Live LV Panel and a current Category 3 medical certificate. demonstrating the ability to rescue a victim from a dangerous situation. It is expected that participants will successfully complete this course in 40 hours of training plus up to 24 hours of workplace practical assessment.